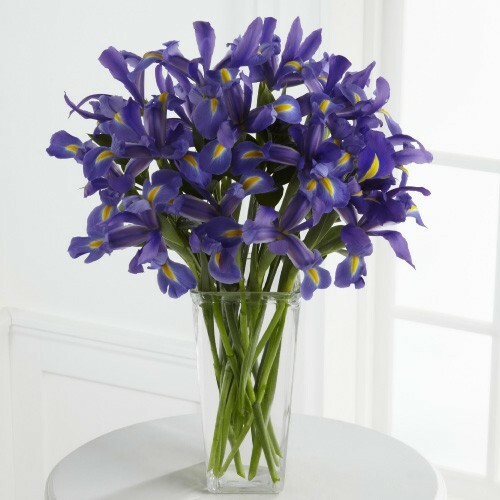 This deep arrangement made up of Irises is a simple and very unique one at the same time. The blueish purple color of the petals with yellow centers will represent the passion in your heart. Accented with lush greens and arranged in a clear glass vase, they are perfect to send to those you care about. Even a mother would love it! These purple flowers are one of those unique gifts they'll remember for years to come. If sending get well flowers or get well balloons with your purple bouquet why not send a hug when you add a teddy bear.